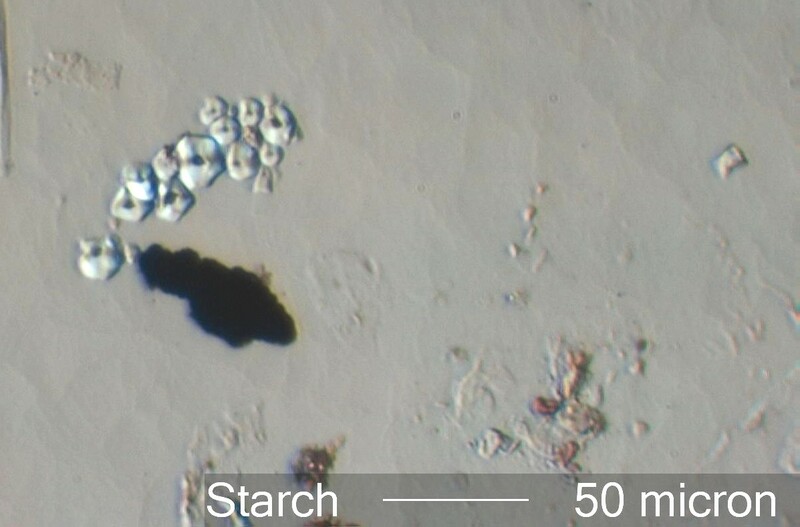 This is a cluster of corn starch grains viewed with the top polarizing filter (analyzer) rotated from its crossed linear polarized position by 20 degrees. The typical cross pattern characteristic of all spherulitic particles disappears with the polarizing filters in this position, but the grains can still be seen to be anisotropic. The black particle in this image is a tire wear particle. This sample is a tapelift from a home.